T/Sgt. Oran Collins, son of Ocia Brown, attended Peters Prairie School; husband of the former Dorothy Clink. 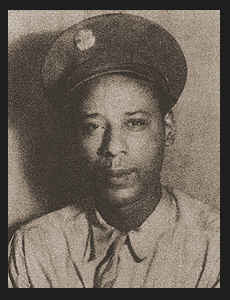 Entered Army in 1942, trained in Seattle, Wash.; served in S. W. Pacific. Awarded Good Conduct Medal.